Malik Yusef says he was doing work on Kanye West‘s behalf to arrange a New York Fashion Week show but it didn’t work out … but it’s definitely not the shady scheme it’s being made out to be. We broke the story … Kanye’s G.O.O.D. Music associate is accused of forging the rapper’s signature to strike a deal with Philipp Plein to stage a NYFW event with Ye performing, and then making off with at least $750,000. Yusef strongly denies those allegations and tells us it was business as usual as he negotiated with Plein to get some “futuristic t-shirts” at Fashion Week. He claims Kanye was aware of the pending contract, but when it became clear Ye wasn’t going to perform … he let Plein know the deal was off. 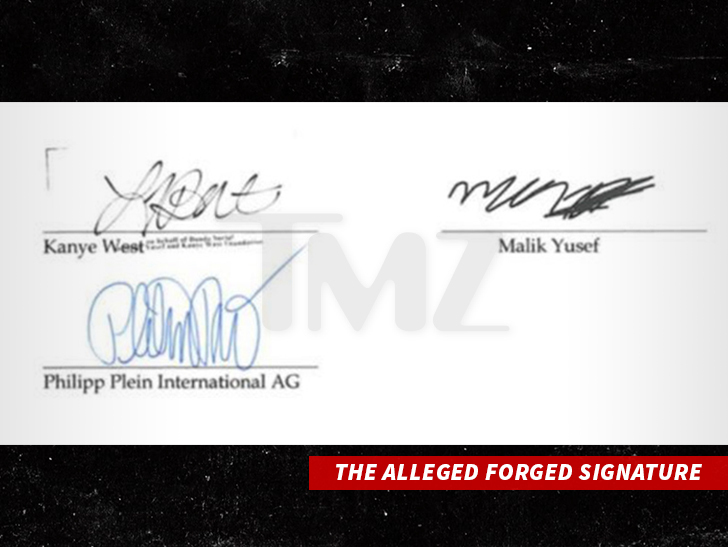 Malik claims he didn’t touch a dime of Plein’s money and even sent it back to him. He’s adamant he’s not scamming anyone and points out he’s been working with Kanye for years … and they run a foundation together. Sources close to Kanye tell us a different story, though … saying Kanye never committed to anything and had no idea about the show Yusef was communicating to Plein about.